You can argue that this is how it goes with some track days and that sometimes you just can't keep everything dry. At least try to pick a paddock spot where puddles would not form easily and preferably a higher spot so the water would drain away from it. If the track has garage bays, it would be best to ask someone to share their spot so you could keep at least some of your important items in a covered area. A good size tarp would go a long way, though, as you'd probably still have to keep some stuff handy at your paddock spot. A tarp also allows you to claim your own pile of land in the paddock. Lay half of it down flat and roll the other half neatly so you can easily cover all your track equipment in case it starts raining. When you cover your stuff, make sure the top wraps all around the bottom layer of the tarp so the water would drain away from it instead of forming a puddle right in the middle of your spot. 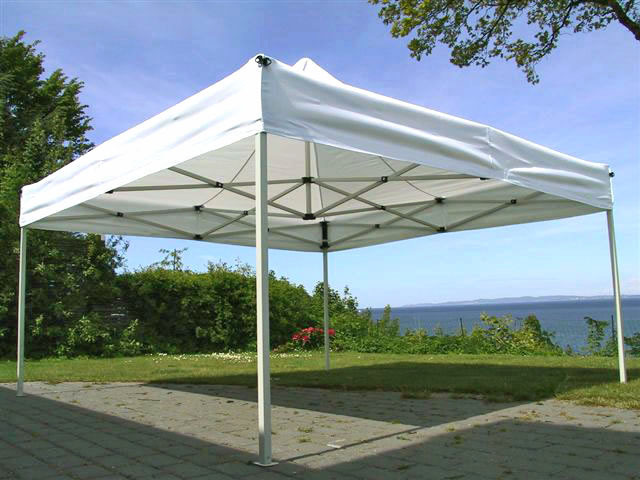 A 12 ft. x 16 ft. water-resistant tarp like the one sold at Home Depot is all you need. It resists UV damage, tears and mildew and it comes with rust-resistant aluminum grommets. It also has headed rope seams for strength should you need those. Most people buy a blue tarp but they come in a variety of colors if you prefer one that won't get mixed up easily (but please don't show up at the track with a yellow Porsche 911 GT3 and a matching color tarp). They do take up more space in the car, more time to set up and take down, and usually need heavy items to secure them down, though. At tracks where the weather changes fast, they are not very helpful except to the type of people who like to kick off the tailgating party as soon as the parking lot opens the morning of game day and bring a 42" satellite TV, full-size grill to feed 20 and enough beer for the entire parking lot. I love hanging out with them, I just don't want to be the one taking care of all the logistics. Tarp for me and a friend with a canopy, please. One of the tarp styles I've found beneficial are the two-tone ones that are brown on one side, silver on the other (Blue Hawk 10' x 12' Tarp - $22 on Lowes.com). I place the silver side on the outside in order to help deflect the sun's heat from my belongings. Not entirely effective, but much better than using the dark color on the outside.